Why are my weeds not dying? So many times we hear the question. What are the best weed killers for your garden and how do I use them effectively? Most of us find weeds a complete garden bore. Perfect gardens are not made of them. Below we have listed the best weed killers on the market and how to use them. 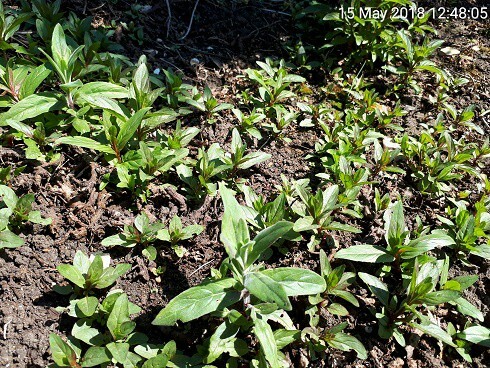 There are two basic groups, perennial weeds and annual weeds. So how can you tell the difference and more importantly get rid of them once and for all. Simply put, perennial weeds and annual weeds are defined by their roots and how they propagate themselves. Is the weed easy to pull out of the ground? If so, it is probably an annual. “Herb Robert” is a good example of this. Its roots are shallow in the soil, generally quite small and weak. One sharp tug and the whole thing is out. If the roots are quite thick and go deeper (3 to 4 inches or more) it is probably a perennial. The dreaded Ground Elder is a good example of this. With a very complex white root system they wind their way through your lovely soil. So, we hear you ask, how do we get rid of the weeds? Perennial weeds that have a strong root system are mainly propagated by seed. They can also propagate themselves by their roots. This makes them difficult to kill. For these hard to kill weeds a SYSTEMIC weed killer is best. Whilst they may take longer to work (sometimes 4 weeks) they kill the weed from the root all the way to the leaves which is essential. Annual weeds grow from a seed, flower and then die. The flower heads distribute the seeds over the soil and the whole process starts again. For these weeds a different method needs to be employed. CONTACT weed killer is the best course of action in our experience. These contact weed killers effectively burn the leaves of the weed within a few days, cutting off its food supply of light. The weeds shrivel up and are then not able to produce a flower or set seed. They then die, breaking the cycle. Back in 2016 we trialled a new weed killer from Neudorff which contains a pelargonic acid (An organic compound found naturally in plants). We were very impressed. It is incredibly fast acting and effective (visible results within 1 hours, see the pics below) on general perennial and annual weeds. It is one of the fastest, effective weed killers we have seen. 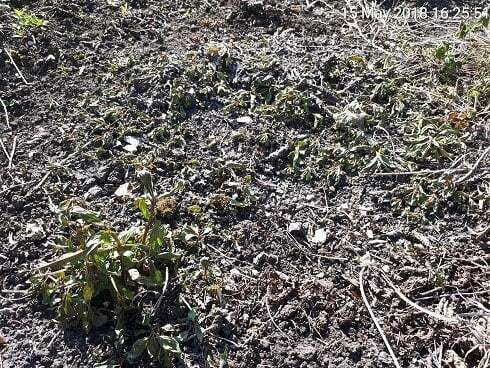 QUICK UPDATE: It’s 2018 and with the wet spring this year, we are inundated with weeds. We thought you would like to know we are still using the Neudorff weed killer. 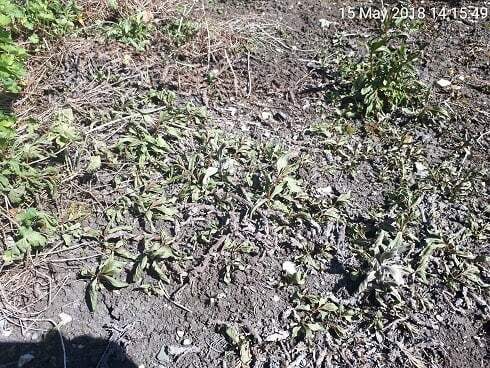 We found the weeds died successfully with the first application so there was no need to buy more weed killer to give the weeds a second dose. We have discovered that Neudorff Weed killer also kills moss, very successfully. The company produce two products, a weed killer and a moss and algae killer. On closer inspection they are essentially the same product containing the same amount of pelargonic acid which kills the weeds and the moss. In less than 2 hours the weeds are nearly dead. In our experience the majority of weed killers work. The lack of success is down to one or more reasons. Expectations of the weed killer i.e. are you using contact weed killers on perennial weeds? Be patient with strong growing perennials like bind weed, bramble and nettles. It is important to allow the chemical to keep acting on the leaves so it can work its way down the plant to the root (systemically). If the leaves wither quickly it stops the systemic action. Any weed killer containing a substance called glyphosate will kill weeds down to the roots. Look on the label for a section that quotes glyphosate g/l. A weaker solution of Round up from the garden center might say 190g/l glyphosate. A professional weed killer will contain 360g/l or more. We have listed two exceptionally strong weedkillers. Gallup Home and Garden contains 360g/l glyphosate which will kill everything. The good news is that it is only active on green matter therefore you can replant an area as soon as the weeds have died. Vitax SBK Brushwood killer. This strong weedkiller will kill woody weeds like brambles, tree saplings, nettles and docks. It is a selective weedkiller which means it wont kill grass. So you can use it near your lawn. You will need to buy a separate sprayer unit when using the very strong weed killers. Just a word on sprayers. If you have a drive, patio or weedy borders, it does help to have a backpack sprayer. Although they are initially expensive it is well worth the investment. You won’t have to keep returning to refill and it is a lot easier to constantly pump and spray whilst walking along.